Pei-Chun Ko is our guest blogger of January 2019. We are delighted that she accepted our invitation and became the first blogger of the renewed Guest Blogger Section. In her post, she traces her academic path in the research on ageing and family and summarizes the findings on productive ageing in Asian countries. 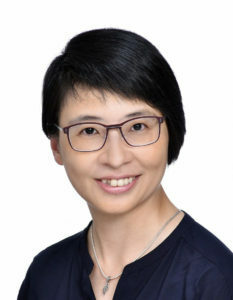 Pei-Chun is Research Fellow at Asia Research Institute and Center for Family and Population Research at the National University of Singapore. She received her PhD from Cologne University in 2015. Asia is aging. Asia’s “elderly” population (defined as those over 65 years of age) is projected to reach 923 million by the end of this century. Statistical projections have shown that population aging is across developed and developing societies: in 2015, every 100 Japanese of working age (15 to 64 years old) supported about 43 older adults (aged 65 and over). In China, 100 working people supported 14 senior citizens in 2015, but by 2050, 100 working people will support 44 seniors. Every 100 Singaporeans will support 35 older Singaporeans by 2030. Thailand is predicted to have about 19 older adults supported by 100 working people and Viet Nam is predicted to have 14 older adults being supported by 2030. These statistics often paints a pessimistic picture of slowing economic growth, declining family values and worries of old-age support in Asia. I have been wondering how sociologists should address such issues in the era of aging Asia. I also noticed the increasing healthy life expectancies among older adults in Asia: The WHO estimates the number of years 60-year olds who will continue to live in good health: Singapore at 20.2 years, Japan at 18.9 years, Thailand at 16.5 years, Viet Nam at 16.8 years, China at 15.9 years, and Malaysia at 14.3 years. It means that older people are not only living longer, but they are staying healthier. Prolonging healthy life expectancy may indirectly influence older adults’ attitudes towards their life planning and retirement. During my PhD study, the research (with Karsten Hank, University of Cologne) on determinants of grandparents providing childcare to grandchildren in China and South Korea has pointed out that grandparents’ involvement can be associated with their adult daughters’ labour market participation. Older adults’ contributions are associated with the resource arrangement among the family, implying that intergenerational support in later life is not merely about receiving care from their adult children. Combining with the literature on social engagement and health, I developed the interest in investigating the social determinants of social activities that can generate economic contributions or public goods among older Asians. “Productive Aging” that emphasizes to view older adults as assets with their longer good-health expectancy and rich human capital is a useful concept for me to specifically focus on older adults’ working, caregiving and volunteering (or community activities). Productive aging was initiated in the United States to develop strategies and programs for seniors who need new social roles and to stay connected with society after retirement. The term was also meant to address ageism. At National University of Singapore, I have been working closely with Wei-Jun Jean Yeung. We organized the conference – Contextualizing Productive Aging in Asia in March 2017. We addressed determinants of productive aging in Asia from the perspectives of changing cultural values, labour migration, emerging economies and social welfare to understand how communities, families and individual factors can facilitate engagement of older adults in the conference in China, Hong Kong, India, Indonesia, Japan, Myanmar, Taiwan, Thailand, Vietnam, Singapore, and South Korea. After the conference, we started to work with Social Science & Medicine later in 2017. We had a second call for papers for the Special Issue – Contextualizing Productive Aging in Asia. Through a series of peer reviews on all submissions, the collection of 19 articles based in Australia, China, South Korea, Indonesia, Viet Nam, Thailand, Myanmar, Singapore, Hong Kong, India and Taiwan have published online and the complete issue will be out in early 2019. The special issue extends literature on productive aging in multiple aspects: First, the papers document various productive activities among older adults in Asian societies, including traditional productive activities, such as employment, volunteering and grandparental childcare, but also agricultural activities, culturally meaningful activities, self-enhancement and intergenerational support. Second, the special issue not only shows that older adults are more likely to provide care and participate in volunteering when they stay with their adult children. There is evidence that older adults continue to provide financial support in several Asian societies. It means that considering family structures and living arrangement are necessary for research and policy makers to understand older Asians’ social integration and social participation. Third, several articles in the special issue have confirmed that engagement in moderate family care or community activities improves wellbeing and cognitive functioning. However, it also demonstrates that gender differences in the health impacts of productive engagement in later life. For example, in South Korea older women who attended religious organizations are associated with better cognitive functioning but such a health benefit is only found for older men who attended activities in volunteering or non-religious organizations. Such findings imply that more research shall focus on the extent long-term gender differences affect older adults’ social activities in Southeast and East Asian societies. Lastly, the special issue consists articles that address the differences in activity engagement among older adults in rural and urban areas as well as impacts of childhood socioeconomic and health on later-life engagement. These articles demonstrate the importance of looking into the regional variations and life course factors that result in differences in social engagement. In the times of population aging across Asian societies, my research interest on productive aging in Asia aims to point out individual socioeconomic status, family structure, neighbourhood context and social policies are important to social integration among older adults. Different traditional discourses of Successful Aging or Healthy Aging which focuses on health outcomes of older adults, my work highlights how social engagement in later life is essential to wellbeing of older adults. We need to recognize that even though the traditional values of respecting older folks and grandparental involvement can still be observed across Asian societies, ageism remains prevalent in Asia due to its rapid economic development and changing family values. Changing labour laws that protect rights of older workers and improving social welfare system are a crucial first step to reduce the structural barriers. At the same time, transforming our mind-set from treating old age as a dependency to an asset, via multimedia and grass-root advocates, will be helpful for the general public to cast away stereotypes of older folks. To conclude, research agenda on investigating social engagement in later life in Asia has a lot of potential for us to rethink what kind of aging society we want to live in.